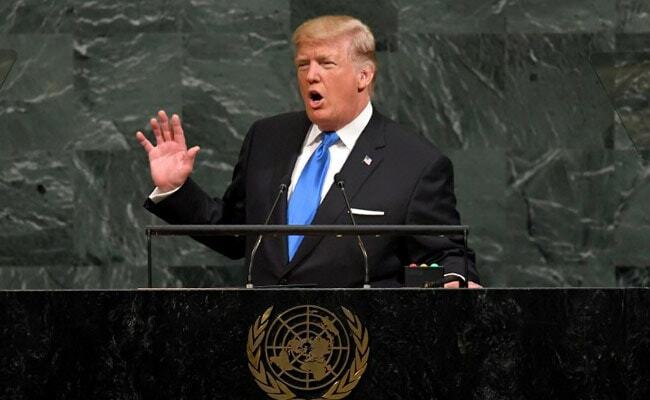 United Nations: North Korea's foreign minister assailed US President Donald Trump at the United Nations on Saturday, deriding him as a "mentally deranged" leader whose threats had increased the chances of military confrontation. Ri Yong-ho told the General Assembly that Trump's vow to "totally destroy" his country if necessary had made "our rockets' visit to the entire US mainland all the more inevitable." Describing Trump as a "mentally deranged person full of megalomania," Ri said the US leader who "holds the nuclear button" posed "the gravest threat to international peace and security today." In his first address to the General Assembly on Tuesday, Trump called leader Kim Jong-Un a "Rocket Man" on a "suicide mission," prompting Kim to warn in turn that the US president would "pay dearly" for his threat. Ri accused Trump of turning the United Nations into a "gangsters' nest where money is respected and bloodshed is the order of the day," and of insulting Kim. "None other than Trump himself is on a suicide mission," he declared. The North Korean nuclear crisis has dominated this year's gathering of world leaders at the United Nations amid fears that the heated rhetoric could accidentally trigger a war. North Korea in recent weeks detonated its sixth nuclear bomb and has test-fired intercontinental missiles -- saying it needs to defend itself against hostility from the United States and its allies. Trump later responded on Twitter, insulting Kim once more and appearing to threaten both men. "Just heard Foreign Minister of North Korea speak at U.N. If he echoes thoughts of Little Rocket Man, they won't be around much longer!" he wrote late Saturday night. The United States led a push at the United Nations for tough sanctions that were adopted on September 11, and has imposed unilateral measures to punish firms that do business with North Korea. Calling the sanctions resolutions unjustified, Ri said that Pyongyang was left with no other choice but to respond with the "nuclear hammer of justice." He stressed that North Korea's nuclear drive was aimed at developing a "war deterrent" and declared that his country was a "responsible nuclear weapon state." 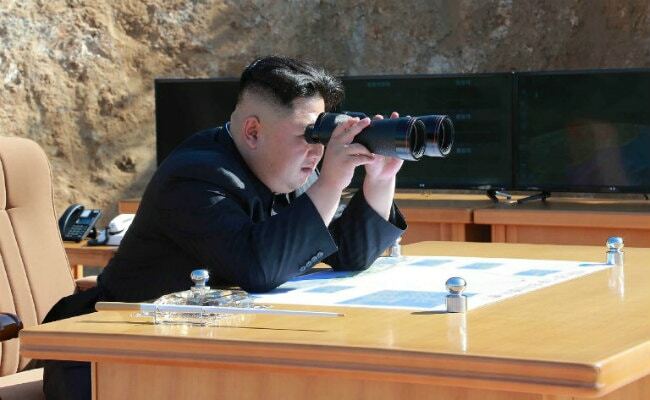 North Korea will take "preemptive action" if the United States and its allies attempt to carry out a "decapitating operation on our headquarters or military attack against our country," he said. Declaring that the missile and nuclear tests were a source of "prestige" for his country, Ri said sanctions would not succeed in forcing his government to change course. Ri then met for 30 minutes with UN Secretary General Antonio Guterres, who expressed concern over the escalating tensions and emphasized the need for a political solution, a UN spokesman said. Just hours before Ri took the UN podium, US bombers flew off the east coast of North Korea, flying the furthest north of the demilitarized zone of any US aircraft this century. The Pentagon said the mission was a "demonstration of US resolve and a clear message that the president has many military options to defeat any threat."